The Return of the Egg Hunt! Our Easter Egg Hunt has returned! We've hidden over 125 chests throughout the Alpha server. But this year there’s a catch! The chests might be in their hiding place… or they might not... Spawns are random and shift about every 5 minutes. Find all the eggs and trade them in to the Easter Bunny for collectible items! All server builds are potential hiding spots. No blocks need to be broken to access any eggs, and no eggs are hidden on player property. Happy hunting! 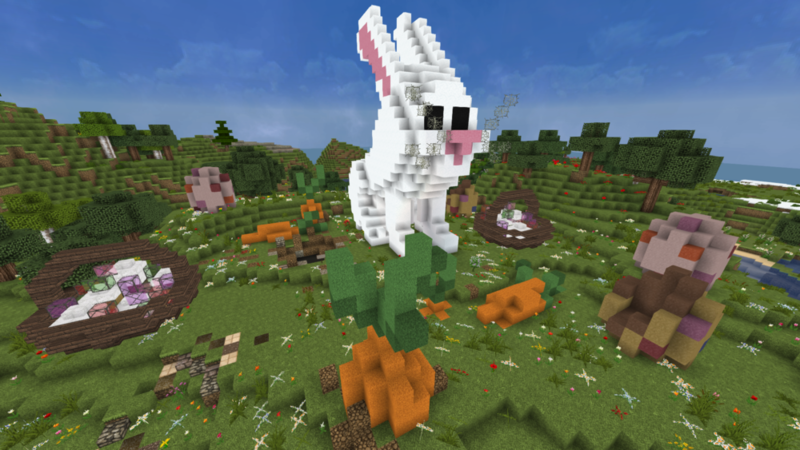 The cloud maze has also returned -- access it by jumping into the rabbit hole at spawn! Good luck!